Modifying your car’s shock absorber and the rest of the suspension is a popular way of improving how the car looks. But it’s actually more than just the looks. Air springs, wheels, tires, and lowering the suspension will actually give you an opportunity to experience better handling. Sounds interesting, right? Even avid racing enthusiasts put on racing shock absorbers, low profile tires, and lowering springs to “up” the performance level of their cars. Aside from those reasons mentioned, you’re entitled to know that modifying the car suspension comes with it varying purposes and objectives, although it is not recommended that you overdo it because you might be putting yourself at risk while driving. 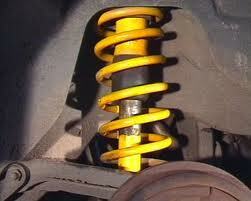 There are some who want their vehicles to be raised like modifying the springs or putting bigger tires. The main purpose of this is to increase that vehicle’s loading carrying capabilities. But both lowering and increasing the height of the car come with certain guidelines. These rules ought to be strictly followed should you wish your car to perform the way it is supposed to, or even better. Ignore even one of these rules and you’re in for some serious chance of danger while driving. The car’s bodywork shouldn’t be lower than the lowest part of the wheel rim. If you go even lower, you will be suffering from handling problems and the wheel getting in contact with the lip. Take a look at your headlamps. Make sure that the center shouldn’t be less than 500mm from the ground. In this regard, you should know that lowering the suspension in front or jacking it up at the rear portion will significantly affect the height and optimal function of the headlamps. It’s perfectly fine to lower the suspension, provided you know the limits to it. 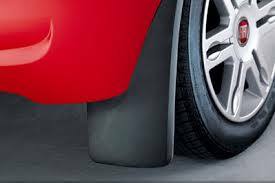 Remember that too much of it may cause the tires to come into direct contact with the rest of the vehicle’s bodywork, in the process hindering steering geometry. You have the liberty to fit and integrate suspension components as options from the car manufacturer for the specific model of your car. When those components aren’t designed for your car model, you obviously cannot force it. As we said earlier, you are allowed to perform DIY car modifications on the Shock Absorber, springs, and the rest of the suspension system, but there are limitations. You can’t go for those modifications that will correspond to changing the steering geometry of the vehicle or those that can adversely affect the load bearing capabilities. Keep it to a safe level. Tires shouldn’t protrude past the mudguards. The tire load rating has to meet or even better, exceed the manufacturer’s requirements or specifications. The rims you use shouldn’t be lower than the lowest portion or component of the car. Know that when you use low profile tires that are not within the manufacturer’s recommendation specs, there might be some instance of speedometer reading inaccuracy. Finally, the use of incorrect tires will certainly affect fuel consumption and overall vehicle performance.